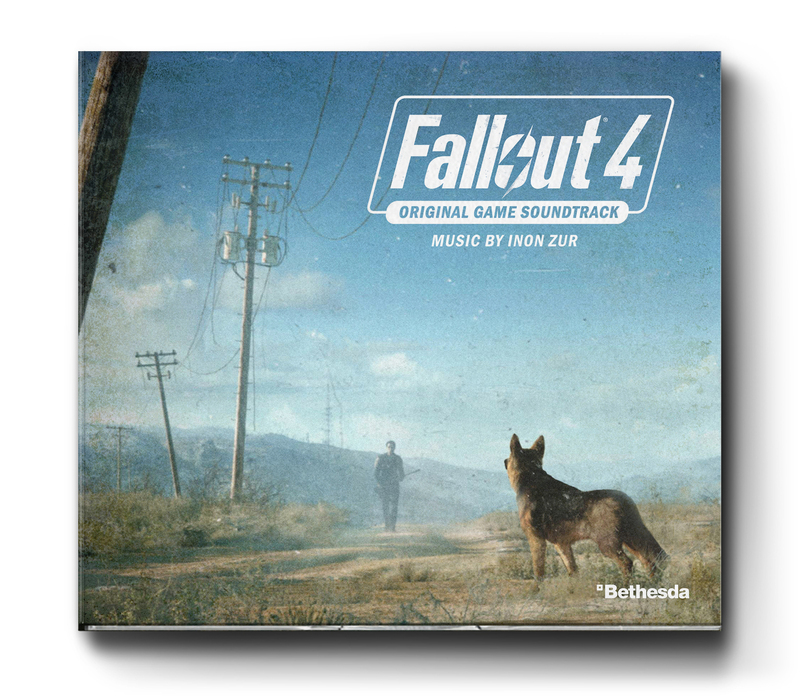 A quick shot for this year’s biggest social life killer: Fallout 4. 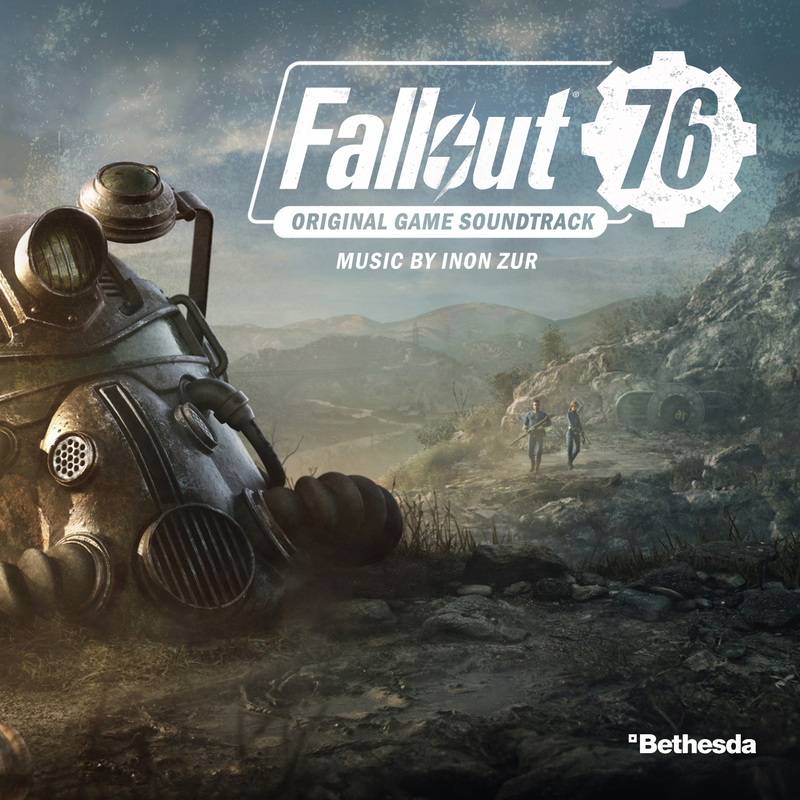 I had no plans at all to make something for Inon Zur’s soundtrack album, but then Bethesda got me hooked on a Fallout panorama advertisement with which they kept plastering my facebook wall. It inspired me to make this understated digipak cover. It also kinda reminded me of Nick Cave and Warren Ellis’ endtimer The Road. And since the official soundtrack has a running time of more than three and a half hours, I decided to try something new. I modified an existing Photoshop mockup template of mine and turned it into this 6-panel-digipak set which opens up on both sides to reveal the three discs. This time around the majority of my time went into the three disc labels, which were pretty much work, but also a lot of fun. 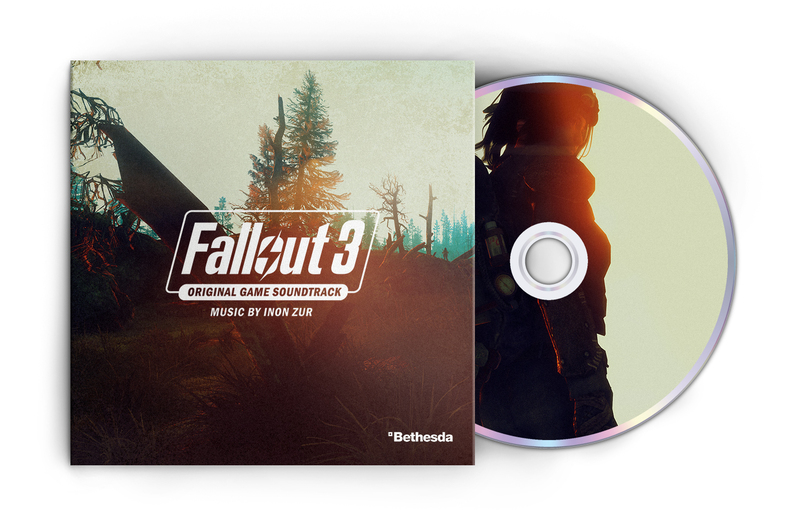 Disc 1 (#2) is an edited version of the widely known Indian-head test pattern, which Bethesda features so prominently within their game. I designed the remaining two discs in the same art style, so that in the end they would form a matching set (#2 to #4). The front cover (#1) wasn’t a piece of cake either. I wanted the dog to be on the front, gazing into the distance and waiting for the player to come back into their cozy garage home. Yet this meant I had to cut him out, move him further away from the garage door and also resize him, so that his eyes would still focus on the player character in the distance. To achieve all of this a lot of repainting and retouching was necessary. But the end result – as so often – was worth all the effort. Recently a fellow cover designer encouraged me to come up with similar customs for the whole Fallout series. 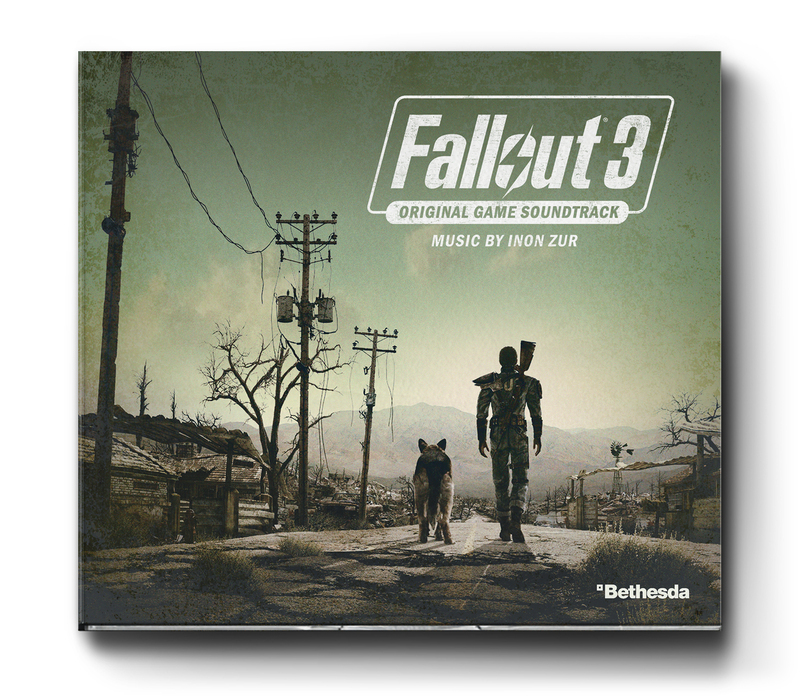 I wasn’t so sure about Mark Morgan’s soundtracks for the first two Fallout‘s, since those were entirely different games and the art design and even more so the available source material was fairly limited. But Fallout 3 and also Fallout: New Vegas were definitely worth a try, especially since I enjoyed working on Fallout 4 so much, the CD labels in particular. 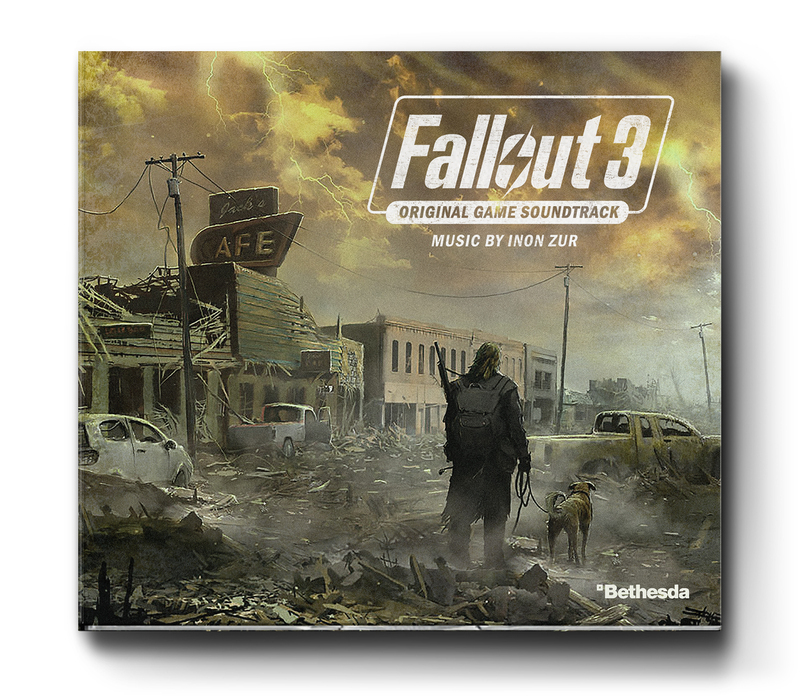 I really like how my Fallout 3 front cover (#5) is in the same vein as its successor for Fallout 4. From the barren landscape and leaning power poles up to the hazy sky. Everything’s related to each other and clearly originates from the very same world. No wonder why I trashed my earlier, more experimental approaches. The opened digipack features an ultra-wide panorama (4242 x 670 pixels) of the characteristicly green tinted wasteland. I struggled a bit to utilize the iconic Vault Boy on both discs (#6, #7), since his seemingly happy persona doesn’t really fit he rest of the artwork. But Bethesda managed to combine those two opposites within the game too, and to great effect actually. So I went with it and only altered colour intensity and aging. 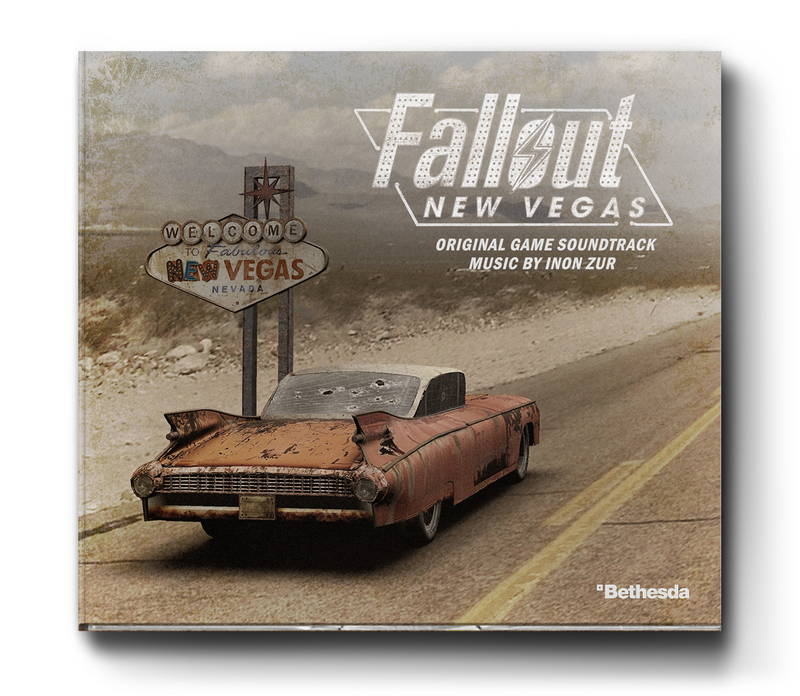 For my Fallout: New Vegas custom cover (#8) I’ve used a strangely post-apocalyptic photo of the famous “Welcome to Fabulous Las Vegas” sign. That photo was sitting on my computer for a long time now, after I’ve stumbled upon it a few years ago and saved it in wise foresight for potential future projects. Well, that future is now. All I did was editing in the New Vegas lettering and tweaking a few minor things. I also thought about creating yet another opened digipack mockup, but let’s be honest, it’s been enough already. Ask me again when Fallout 5 comes out. Upon request I’ve added Bethesda’s recent core melt accident called Fallout 76. This one’s for all of you who enjoy the game and/or the score. Download the square iTunes version here. 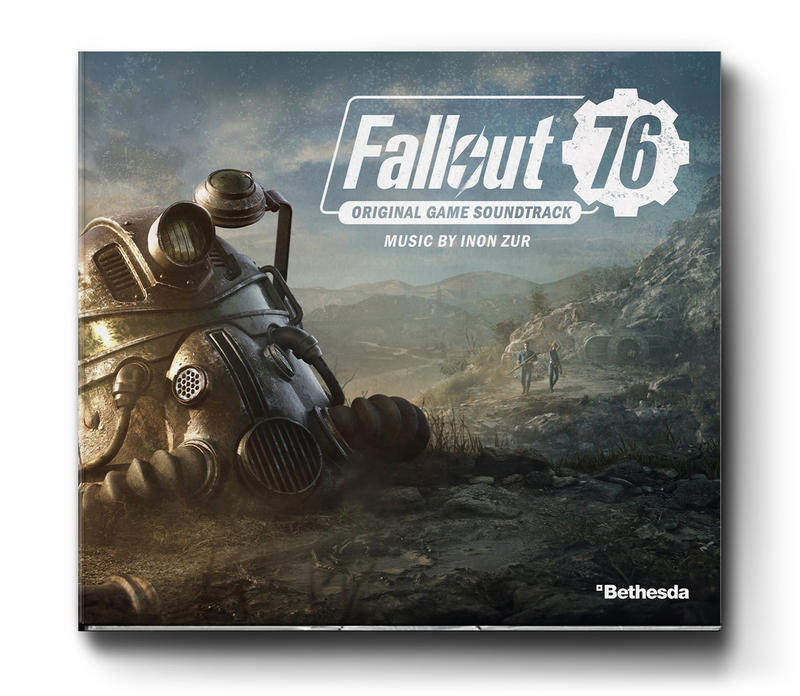 A game soundtrack?! More please! I may put something out for Fallout 3 in a couple days. And there are some others already online, have you seen?